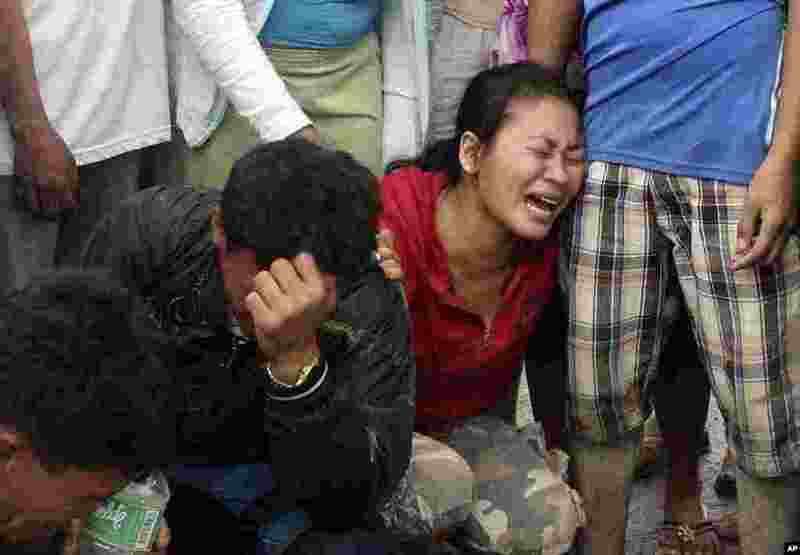 1 Relatives grieve as they view bodies recovered from floods in New Bataan, Compostela Valley province, southern Philippines, December 5, 2012. 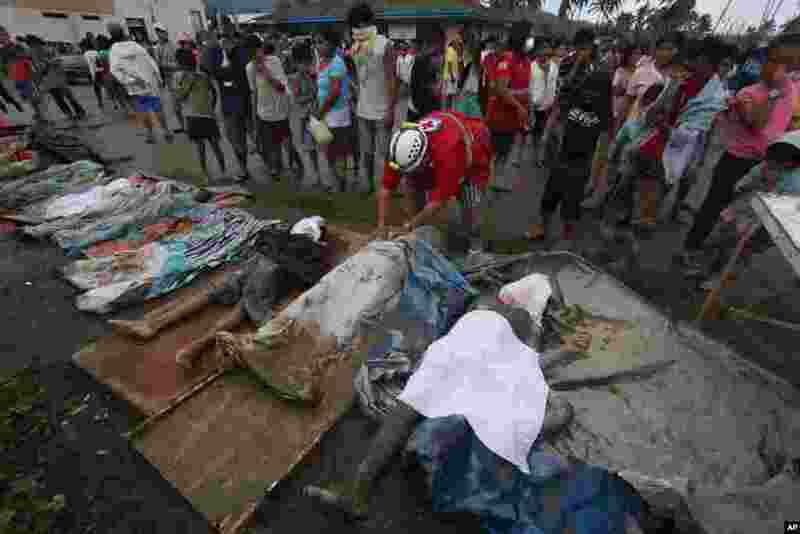 2 A rescuer covers bodies recovered from a flash flood in New Bataan, Compostela Valley province, southern Philippines, December 5, 2012. 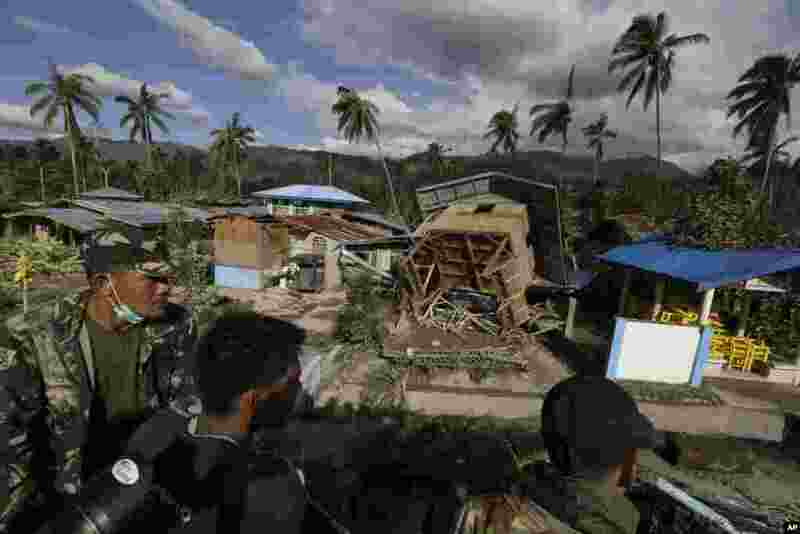 3 Filipino soldiers search for victims and survivors amid the devastation left by Typhoon Bopha, in the village of Andap, New Bataan township, Compostela Valley in southern Philippines, December 5, 2012. 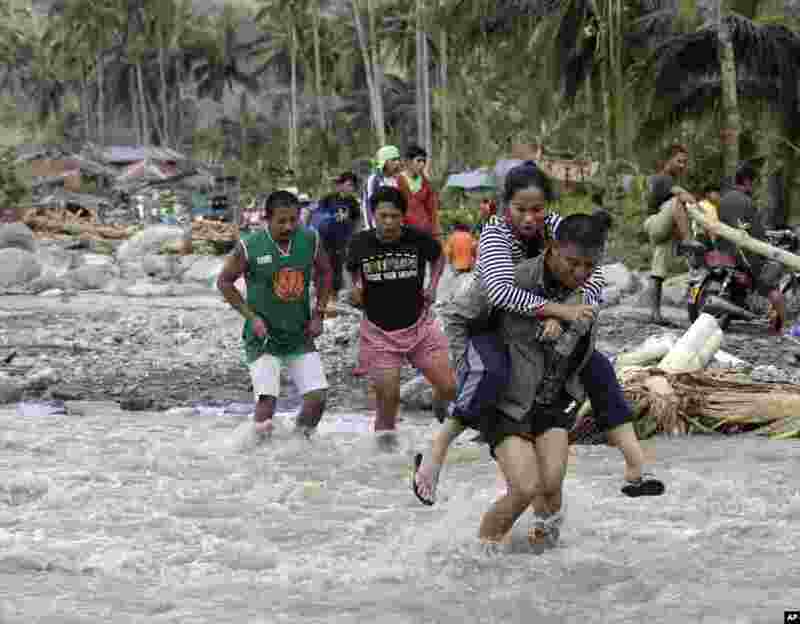 4 Residents cross a river in the flash flood-hit village of Andap, New Bataan township, Compostela Valley in southern Philippines, December 5, 2012. 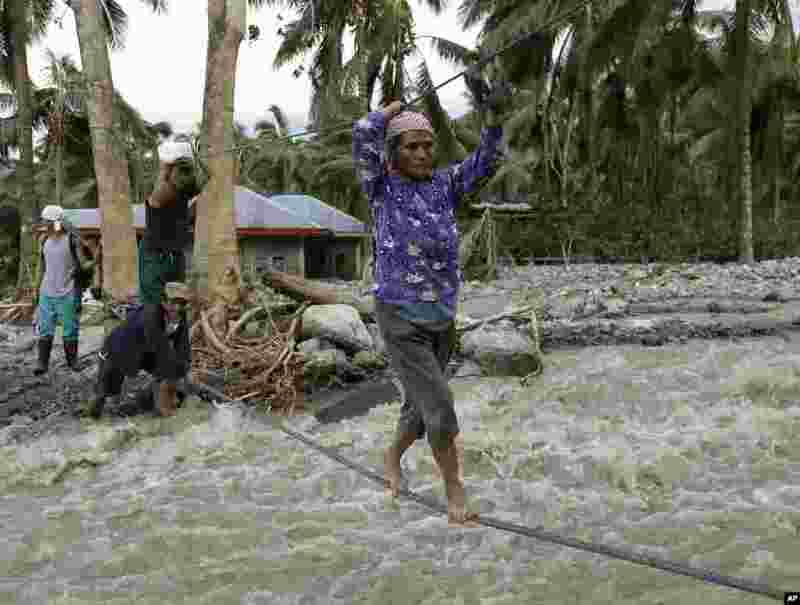 5 Residents cross a river using suspended ropes at Andap, New Bataan township, Compostela Valley in southern Philippines, December 5, 2012, a day after Typhoon Bopha made landfall. 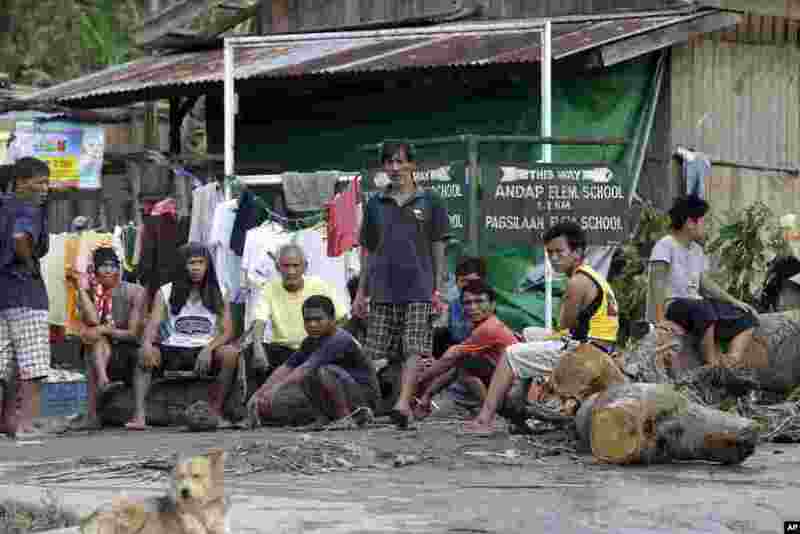 6 Residents wait for relief supplies at the flash flood-hit village of Andap, New Bataan township, Compostela Valley in southern Philippines, December 5, 2012, a day after the devastating Typhoon Bopha made landfall. 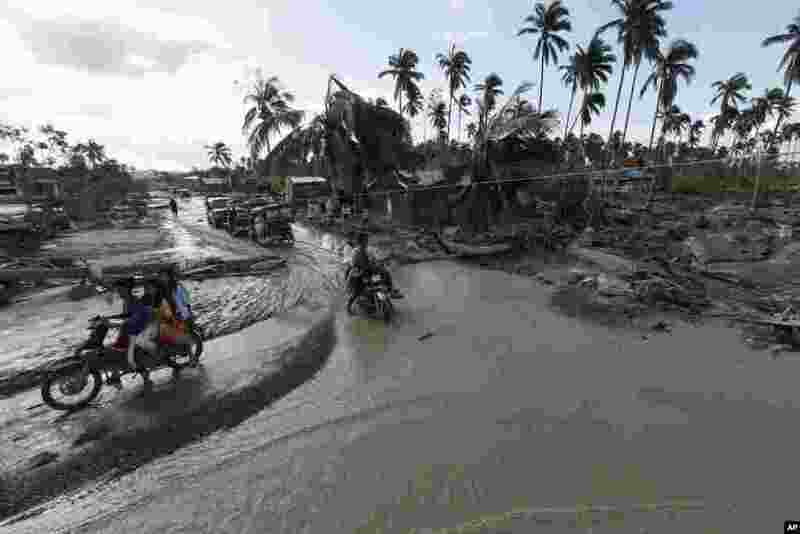 7 Residents make their way through a flooded area of New Bataan township, Compostela Valley in southern Philippines, December 5, 2012, a day after Typhoon Bopha made landfall. 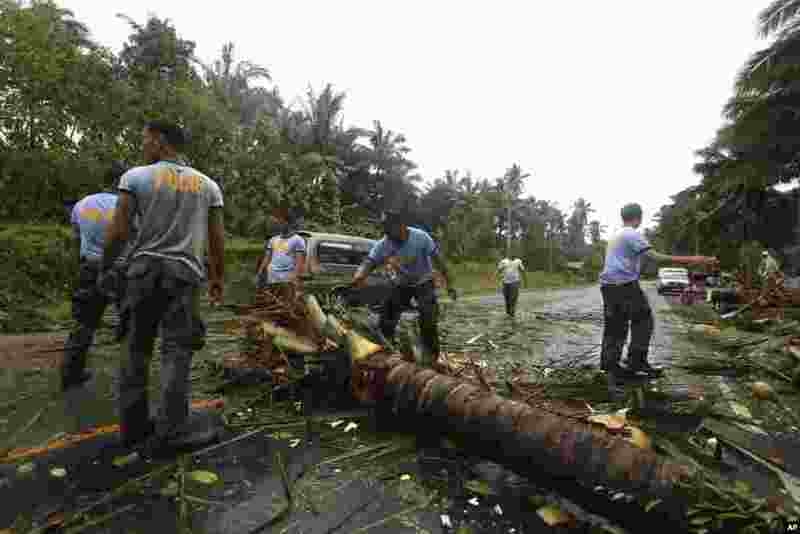 8 Philippine National Police clear a highway of toppled coconut trees after Typhoon Bopha made landfall in Compostela Valley, December 4, 2012. 9 Workers clear a highway of toppled trees after Typhoon Bopha made landfall in Compostela Valley, Philippines, December 4, 2012. 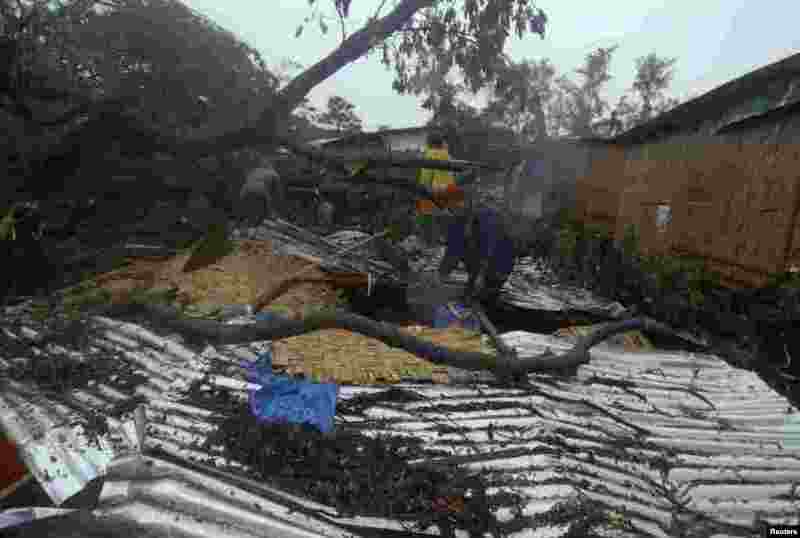 10 Residents retrieve their belongings after their house was destroyed by a fallen tree caused by Typhoon Bopha in Cagayan de Oro City, Philippines, December 4, 2012. 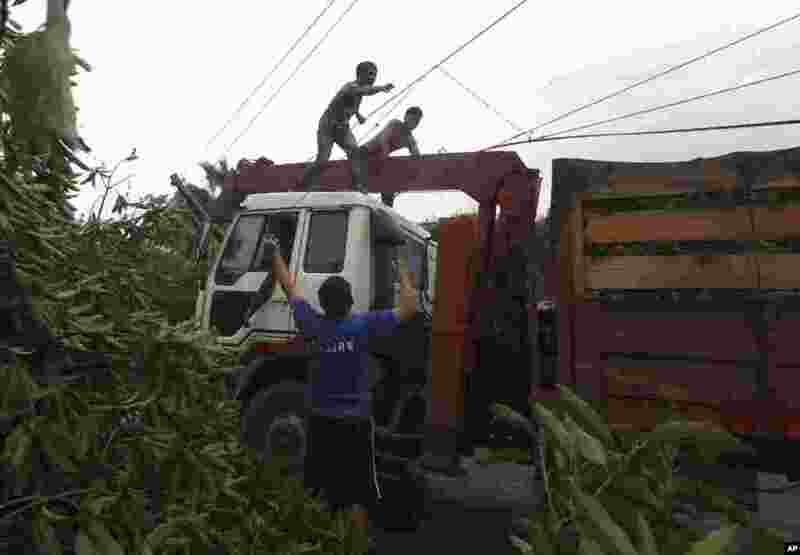 11 Residents saw an uprooted tree to clear the road after Typhoon Bopha hit Tagum City, Philippines, December 4, 2012. 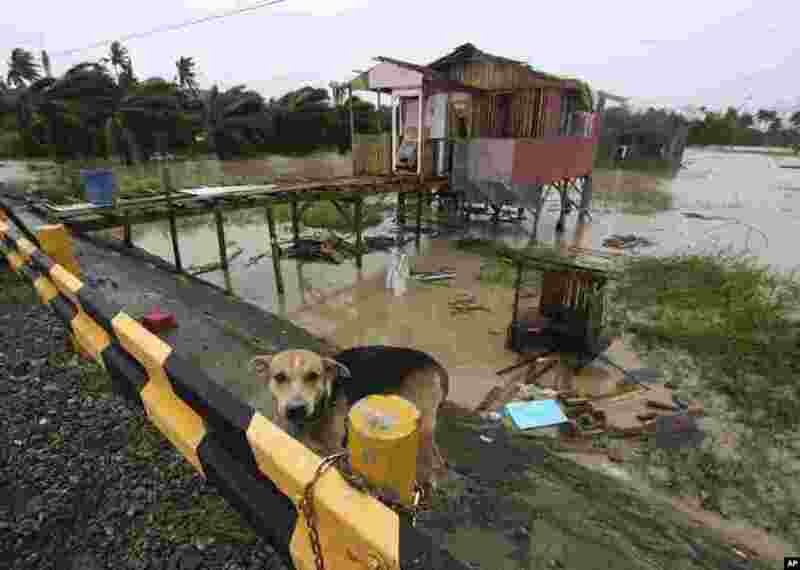 12 A dog is chained near a damaged house after Typhoon Bopha made landfall in Compostela Valley, December 4, 2012.